SharePoint doesn’t really offer a convenient way to show data and files managed in SAP with all documents linked to them. If certain SAP data should then be made available to internal and external users without SAP access, you’ll need an additional program: the SharePoint Process Portal from SEAL Systems. This portal serves a as bridge between SAP and SharePoint, transferring documents and data fully and in the right order from SAP to the Sharepoint system. The advantage is that only the documents and data actually relevant for the business process are transmitted. The transferral of data from SAP into SharePoint takes place directly over the portal. The user receives a link per email only to his or her personal SharePoint portal. There, all relevant documents and meta data are stored as copies and can be used independently of SAP. What’s interesting, for example, is when preparing data for an order for which drawings, instructions or other documents from SAP are needed. Likewise, the portal can perform valuable services for internal preparation of instructions for maintenance, or for export from BOMs. The advantages for the user are obvious: the distributed documents can be updated and controlled in the portal at any time, and documents can be made available to many users at once. The classification of files from SharePoint into the SAP system is always given so that, even if documents were altered, backward steps are possible at any time. Furthermore, unlike e-mail distribution, the portal has no limitation on file size. 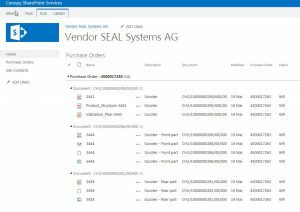 Optionally, interactive feedback is possible from the portal to SAP, such as a confirmation on the initiation of a purchase order or the start of processing. You’ll find more information about our solutions for SharePoint here. thank you very much for your comment and sorry for our late reply! Our expert Matthias Müller will get in touch with you immediately. 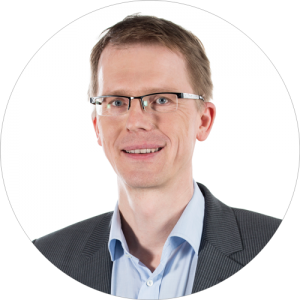 Lars Palitzsch is our Director of Development for SAP. He’s keen on highly complex technical matters, and usually won’t step away from his PC until he’s found just the right solution to even the tiniest problem. When not working for SEAL Systems he can occasionally be seen at concerts of a wide range of musical styles.